1970 Olds 442 W-30 4 speed (numbers matching), same owner since 1975 - this is the first car I purchased; just couldn't part with it. 1970 Olds 442 W-30 4 speed (numbers matching). 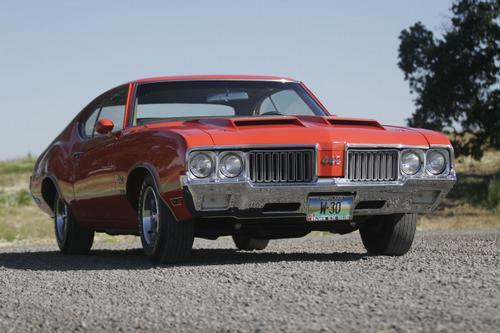 1970 Olds 442 W-30. Boiling the hides on camera. Absolutely the best sounding, best ride Olds ever made from production! Never let go of it!